I can't believe that we are officially half way through the year and its the beginning of Summer! I can't wait for all the summer festivities to begin! Last month I participated in this Monthly Goals Link Up and was instantly inspired to make this a goal to write down my realistic short term goals and be held accountable to the other bloggers in the linkup. May was a really busy month for me and I honestly didn't achieve all the goals on my list but I did follow through with increasing my comments on other blogs I love and taking more time to write my best blog content about style and lifestyle. I also started working out more consistent which is at least three times a week. I have a workout buddy where we take Zumba classes every week and started the Kayla Itsines 12 week bikini ready workout we started about two weeks ago. Having a workout buddy has really supported me in accomplishing my exercise goals and helped me start my day off right. I also stumbled upon this organizational article that will definitely help me this month. There is always room for improvement, however I am proud of what I accomplished and learning the best methods to get things done is a process and i definitely have to keep that in mind when moving forward. For June its a very short list but at the same time so necessary! As you read this, I am in the Democratic Republic of the Congo, spending time with my extended family and quality time with my parents, siblings and cousins. Its a time to be renewed, refreshed, re-inspired and get all the support, motivation and energy I need to move forward with my life and career goals and get things done. When I started seriously exercising, I didn't focus on my eating habits and didn't realize how they affected my workouts so much. Starting my day with an easy 5 ingredient green smoothie every morning will definitely help me change my eating habits for the better. When I started my youtube channel, I wanted it to compliment my blog while reaching a different community and audience. In June, I plan to publish at least 3-4 style videos every friday of the month. I sometimes lose track of my yearly resolutions because I don't write down specific achievable goals I have for my life and career. This month I want to change that and write down weekly and daily goals that move me one step closer to my goals. What are your goals this month? Lets encourage each other to spend these next thirty days wisely, productively and most importantly to live each day to the fullest. Its the Weekend! 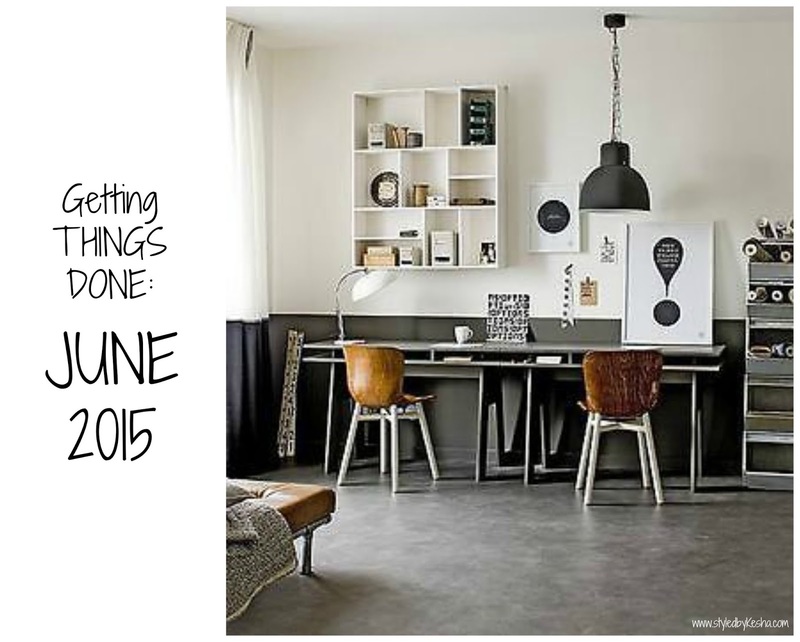 June Wrap Up! 5 Travel Tips For Really Long Flights!